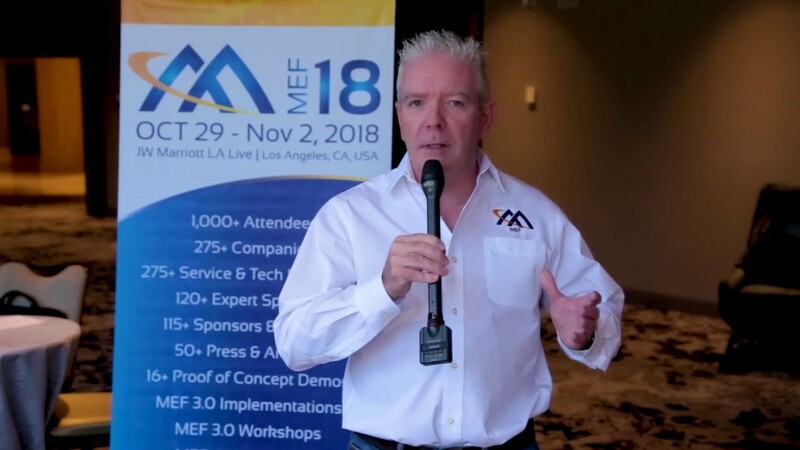 Join the world's top communications service and technology innovators at the MEF18 global networking event (http://www.mef18event.com) held this 29 Oct. – 2 Nov. at the JW Marriott LA Live! in Los Angeles. MEF18 will assemble 1,000 industry professionals from 275+ companies and 35+ countries who are focused on accelerating worldwide adoption of assured services orchestrated across automated networks. Aligned with the MEF 3.0 Framework, these new, game-changing services empower users with the dynamic performance and security required to thrive in the digital economy. MEF18 is ideal for strategic decision makers, marketing, product management, sales, IT, operations, engineering, and other industry professionals. We have a broad range of content and networking opportunities designed to help all of these groups efficiently navigate through industry transformation. Register now http://www.mef18event.com/index.php/m... Qualified enterprise, government, press, and industry analyst professionals attend for free. 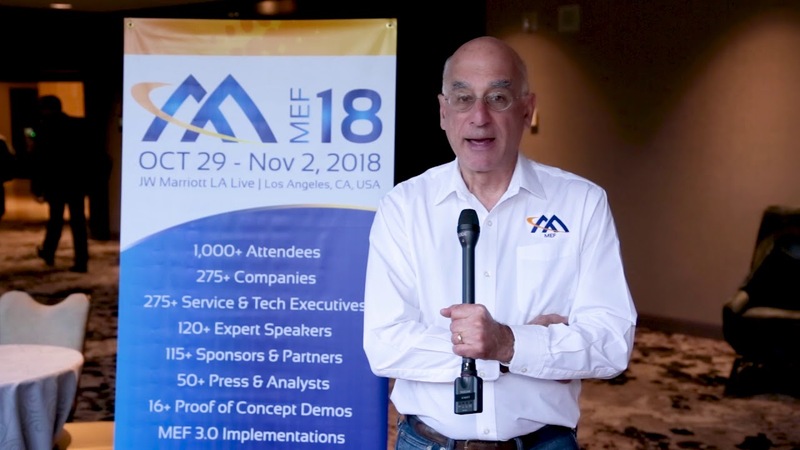 MEF18 (http://www.MEF18event.com) will be held 29 October - 1 November 2018 at the JW Marriott LA LIVE Hotel in Los Angeles, California. With a target audience surpassing 1,000 attendees from 275+ companies and 35+ countries, MEF18 is the premier networking event for senior-level professionals who are reshaping the communications landscape. MEF18 focuses on enabling agile, assured, and orchestrated services that provide the dynamic performance and security required to thrive in the digital economy. Emerging “MEF 3.0” services provide an on-demand experience with unprecedented user- and application-directed control over network resources and service capabilities. They are delivered across a global ecosystem of automated networks powered by LSO (Lifecycle Service Orchestration), SDN, and NFV. MEF Annual Meeting - July 2018. 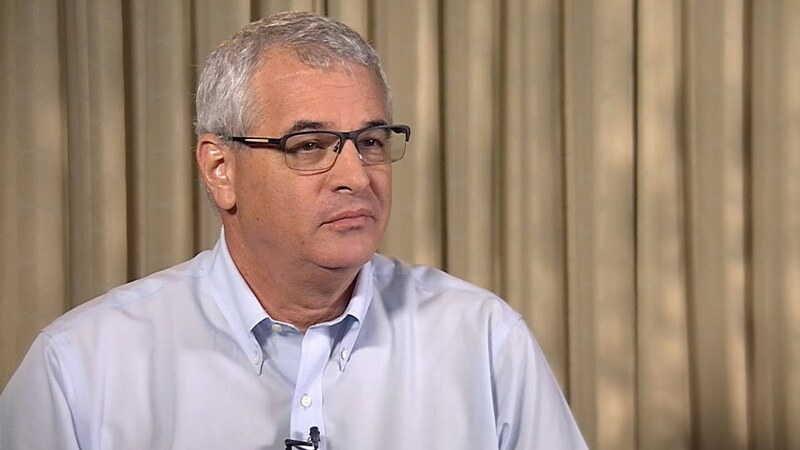 Rami Yaron, Senior Director, SDN/NFV Solutions, NEC/Netcracker and Chair of MEF’s 5G Focus Group, discusses five important 5G initiatives within MEF: (1) transport for 5G, (2) network slicing, (5) orchestration of 5G services, (5) fixed wireless access, and (5) MEF 3.0 5G implementation project. 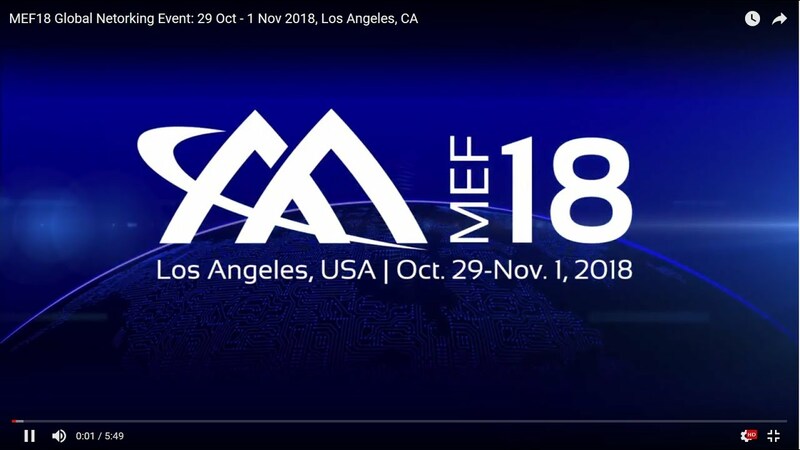 To learn more MEF's work on 5G, attend MEF18 (http://www.MEF18event.com), 29 October - 2 November, in Los Angeles. The MEF18 program includes a 5G Workshop on Monday, 29 October, and a 5G Track on Wednesday, 31 October. MEF Annual Meeting - July 2018. 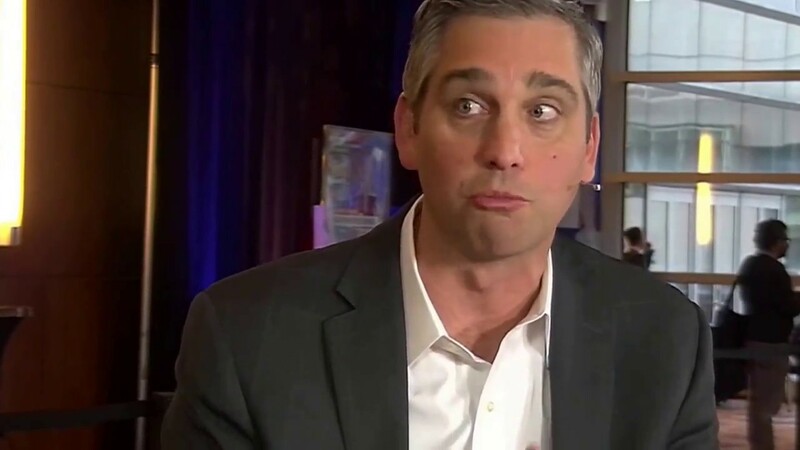 Joe Ruffles, Global Standards Architect for Strategy and Innovation, Riverbed, discusses two key SD-WAN initiatives within MEF that his company co-leads: (1) SD-WAN Service Specification project and (2) SD-WAN Multivendor Implementation project. The projects have a symbiotic relationship. Service providers are suggesting use cases to make multi-vendor, multi-service provider SD-WAN work, and results from the implementation project are fed back into specification development. MEF is taking an agile approach to getting a specification to market quickly while also ensuring that when service providers market MEF-certified SD-WANs their customers will know what they are getting and what to expect in terms of interoperability. 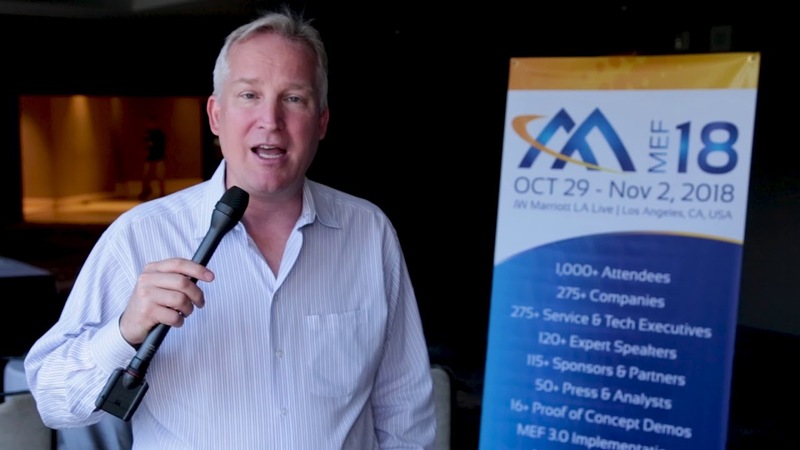 To learn more about MEF 3.0 and the SD-WAN projects, attend MEF18 (http://www.MEF18event.com), 29 Oct - 2 November 2018, in Los Angeles, CA. MEF Annual Meeting - July 2018. 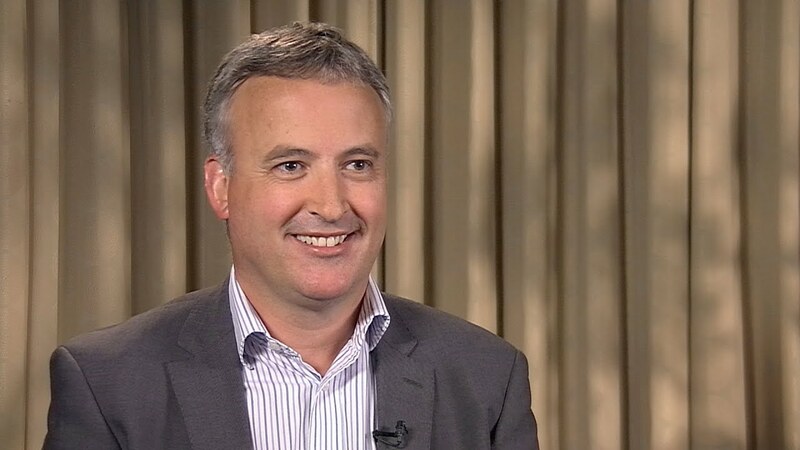 Mirko Voltolini, Global Head of Network on Demand, Colt Technology Services, discusses the work MEF has being doing to define LSO (Lifecycle Service Orchestration) APIs for service orchestration across multiple service providers. MEF currently intends to formally release LSO Sonata APIs for product offering qualification, inventory, quotes, and ordering around the time of MEF18. Mirko shares that Colt has three ongoing projects with other service providers that involve implementation of LSO Sonata APIs, and Colt intends to be at the production level this year. 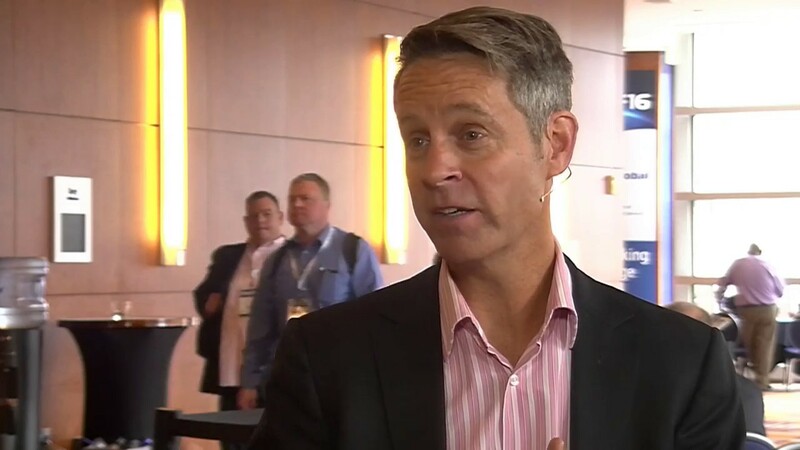 Next year, Colt expects a much larger number of carriers will be using the APIs. To learn more about MEF 3.0 and to view live demonstrations of orchestrated services powered by LSO, attend MEF18 (http://www.MEF18event.com). MEF Annual Meeting - July 2018. 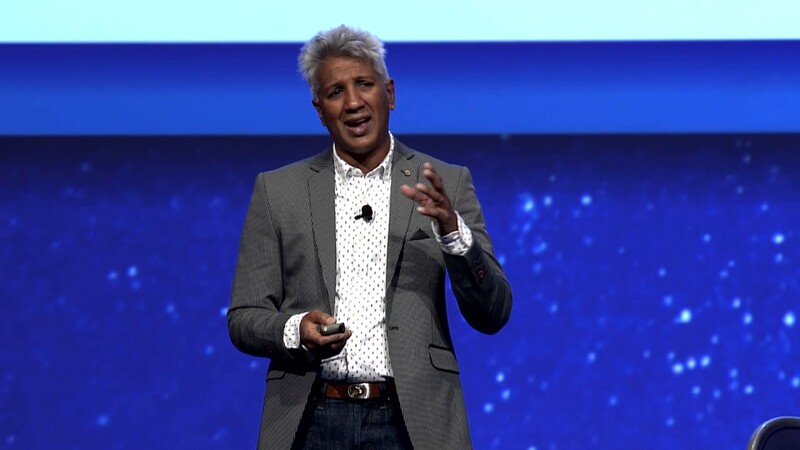 Pascal Menezes, Chief Technology Officer, MEF, discusses how the industry transition from hardware to software is creating opportunities for MEF to drive more agile standards development. We're now in a world of very rapid innovation that is driven by highly agile software. MEF is looking for ways to incubate the standards process in MEF 3.0 implementation projects before a specification comes out - testing LSO APIs, etc. - and providing feedback for development of specs and LSO API releases. MEF currently is on track to release at the MEF18 event (29 Oct - 2 Nov 2018) the following: (1) the industry's first standard that defines SD-WAN services and their attributes and (2) a set of LSO Sonata APIs for orchestrating services across multiple providers. Join us at MEF18 (http://www.MEF18event.com)! MEF Annual Meeting - July 2018. 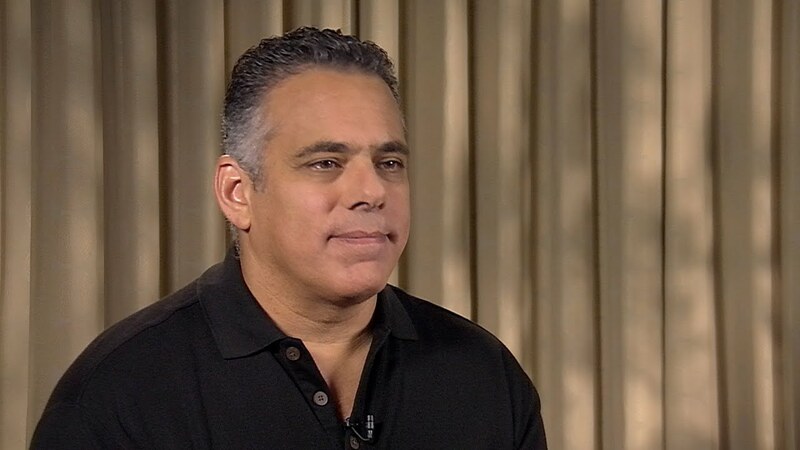 Aamir Hussain, Executive Vice President and Chief Technology Officer at CenturyLink, discusses the massive transformation the communications industry is going through. "Customers are learning from an Amazon-like buying experience and a Netflix-like watching experience," and they want simplicity and agility. Up to now, service providers generally have not had a way to leverage software to help orchestrate a much better experience for customers, but that is beginning to change. Aamir commented, "I see MEF 3.0 as a massive opportunity to help standardize automation of services - service chaining through networking." To learn more about MEF 3.0 and to see CenturyLink’s demonstration of LSO-enabled servcie orchestration, attend MEF18 (http://www.MEF18event.com). MEF Annual Meeting, July 2018 - David Martin, Senior Systems Engineer, IP/Optical Networking Business Group, Nokia, discusses the new MEF 63 Subscriber Layer 1 Service Attributes specification, which he edited. MEF 63 will be published in early August 2018. Within the MEF 3.0 global services framework, MEF has extended its service definition work to include Optical Transport services. MEF 63 supports Ethernet and Fibre Channel client protocols – used in LAN and SAN extension for data center interconnect – as well as SONET and SDH client protocols for legacy WAN services. 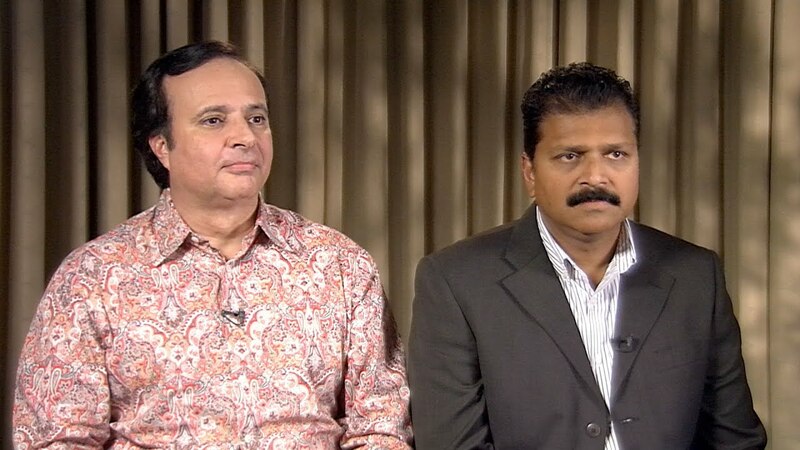 See MEF 63: http://www.mef.net/resources/technica.... While proprietary Optical Transport services are widely available, until now they have lacked standardized service attributes and service definitions. This has made it difficult for service providers to develop and automate multi-vendor service offerings and for subscribers to compare service offerings. 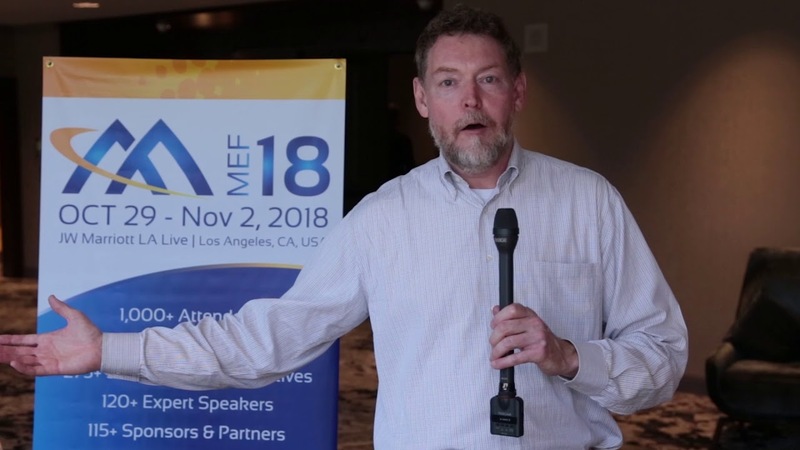 Subscribers can benefit from standardized Optical Transport services in the same way they can benefit from standardized MEF 3.0 Carrier Ethernet services There will be a live MEF 3.0 Optical Transport Implementation demonstration in the popular Proof of Concept Showcase at MEF18 (http://www.MEF18event.com), 29 Oct - 2 November, in Los Angeles. More than 50 companies are lined up to participate in 20 PoCs at this year's event. 1. Sparkle has been a key contributor to the MEF 3.0 Service Fulfillment and Activation project, which is implemented on MEFnet and is expected showcased at MEF18. This project focuses on developing answers to the challenge of orchestrating services across multiple service providers. Sparkle is acting as a transit service provider and has developed test case scenarios related to the LSO Sonata, LSO Interlude, and LSO Cantata reference points and associated APIs. 2. Sparkle and a partner plan a MEF18 POC demo focused on a technology-vendor agnostic SD-WAN implementation with the goal of leap-frogging beyond standard universal CPEs based on virtual machines to a new solution that could serve as a baseline for multi-vendor, orchestrated SD-WAN. 3. In another MEF18 PoC demo, Sparkle is working with other service providers and technology vendors to build a circle of commercial trust built on blockchain technology. 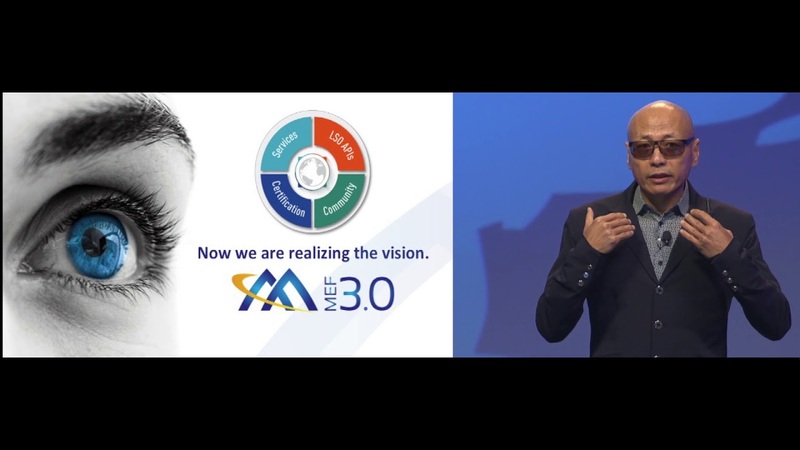 MEF Annual Meeting, 25 July 2018 - Kevin Vachon, COO, MEF, provides a progress report on MEF 3.0, which is the global services framework for defining, delivering, and certifying assured communications services orchestrated across a global ecosystem of automated networks. MEF is advancing work across all four elements of MEF 3.0, including: (1) standardized services (Carrier Ethernet, Optical Transport, IP, and SD-WAN), (2) LSO APIs enabling service orchestration across providers and over multiple technology domains, (3) professional, service, and technology certification, and (4) community activity, including MEF 3.0 implementation projects. Learn more about the exciting industry transformation taking place at the MEF18 (www.MEF18event.com) global networking event, 29 Oct. - 2 Nov. 2018. More than 50 service and technology companies will be participating in 20 Proof of Concept demonstrations at the event. 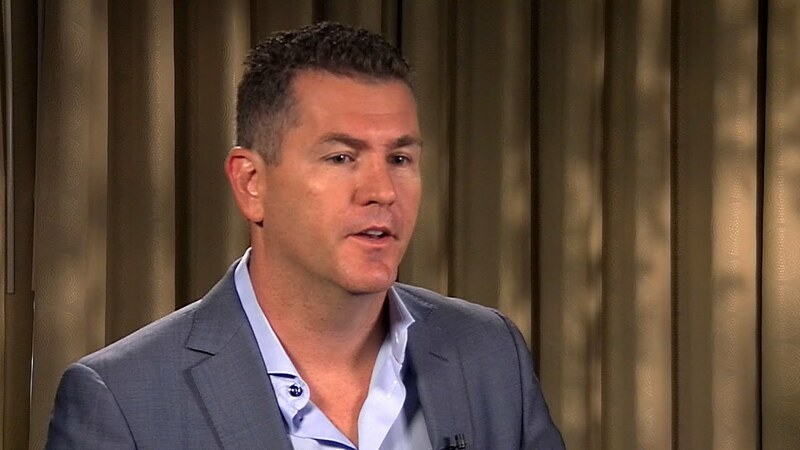 MEF Annual Meeting, July 2018 - Kevin O'Toole, Senior Vice President, Product Management, Comcast Business, says the market has really begun to embrace SD-WAN in order to cut costs and unlock the power of new last-mile access networks. MEF is working on standards to support the evolution of SD-WAN within the broader MEF 3.0 global services framework. MEF work is building upon the foundational "Understanding SD-WAN Managed Services" white paper (http://www.mef.net/resources/download...). Visit www.mef.net to learn more about MEF 3.0 and SD-WAN and plan to attend MEF18 (http://www.MEF18event.com), where SD-WAN will be a major topic of discussion. MEF Annual Meeting - July 2018, Shawn Hakl, Senior Vice President Business Products, Verizon, shares that MEF 3.0 is the framework for defining how carriers will talk to each other in the age of software-defined services. MEF 3.0 reflects the industry transition to a more software-oriented, API-centric culture and method of doing business -- highly automated, highly scalable, and extremely fast. 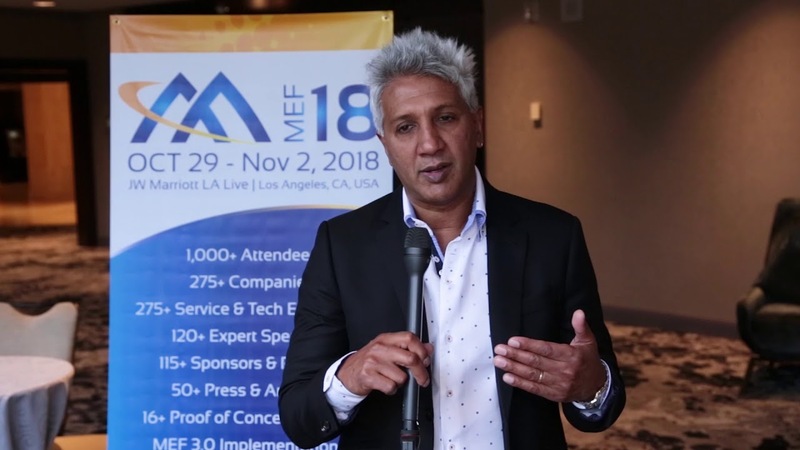 Shawn comments on the MEF Technical Strategy presented by MEF CTO Pascal Menezes and discusses how MEF 3.0 aligns with the needs of the market and Verizon's experience. Shawn noted that Verizon and Colt have used draft versions of the MEF-defined LSO Interlude APIs for inter-provider service orchestration. To learn more about MEF 3.0 and to view live demonstrations of orchestrated services powered LSO, attend MEF18 (http://www.MEF18event.com). MEF Annual Meeting, July 2018 - NEC/Netcracker's Karthik Sethuraman and Centurylink's Jack Pugaczewski provide an overview of the recently concluded OIF-MEF-ONF interoperability demonstration that focused on the Transport Application Programming Interface (T-API). The multi-vendor demo showcased new dynamic behavior uses cases and deployment scenarios. The demo incorporated service provisioning scenarios at the LSO Presto reference point in the MEF LSO architecture, using the MEF NRP Interface Profile Specification (MEF 60), which defines extensions to T-API in support of Carrier Ethernet services. 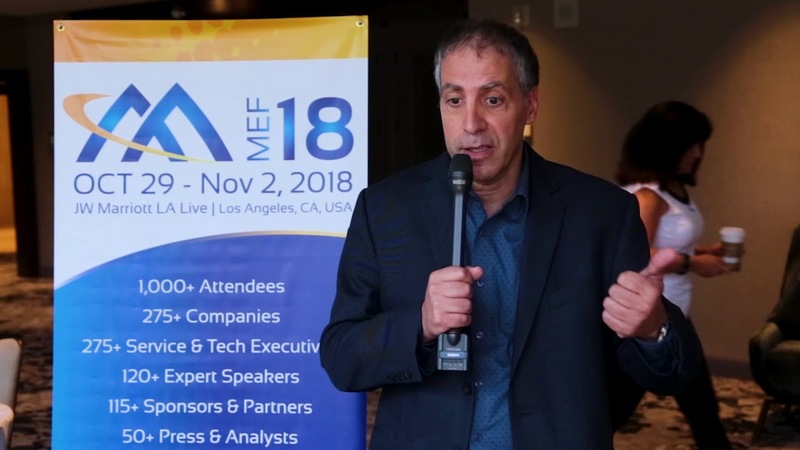 CenturyLink, NEC/Netcracker, and other partners plan to participate in a Proof of Concept demonstration on a related topic at MEF18 (http://www.MEF18event.com), 29 Oct - 2 Nov in Los Angeles. 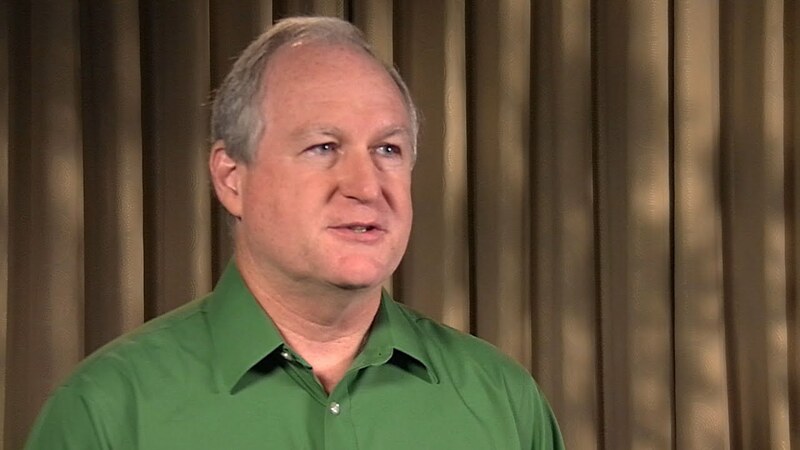 MEF Annual Meeting, July 2018 - Dan Pitt, SVP, MEF, provides an overview of MEF's new SDN/NFV professional certification program. MEF now offers three certifications as part of a comprehensive Professional Certification Framework: MEF-SDN/NFV, MEF Carrier Ethernet Certified Professional (MEF-CECP), and MEF Network Foundations (MEF-NF) certifications. MEF has certified nearly 6,000 MEF-CECPs from 440 organizations in 85 countries, and is building upon this solid foundation to help serivce providers worldwide transition to assured services orchestrated across automated, virtualized, and interconnected networks. Professional certification training will be available during 28 & 29 October at the MEF18 event (http://www.MEF18event.com) in Los Angeles. MEF17, 14 Nov 2017 - Josh Goodell, VP, Intelligent Edge, AT&T, gave a keynote focused on "Evolving to Intelligent Edge." 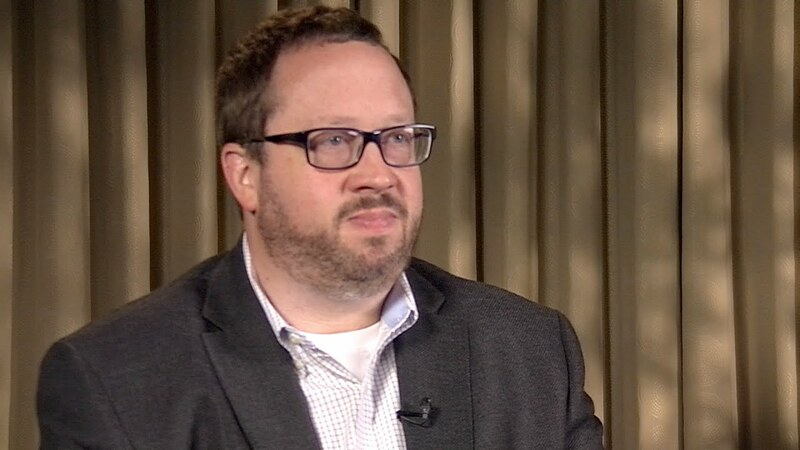 Josh discussed major drivers of digital transformation, the key elements of AT&T's intelligent network vision (SDN-enabled core, virtualized edge, and SD-WAN), and the technical enablers of AT&T's evolving intelligent edge. 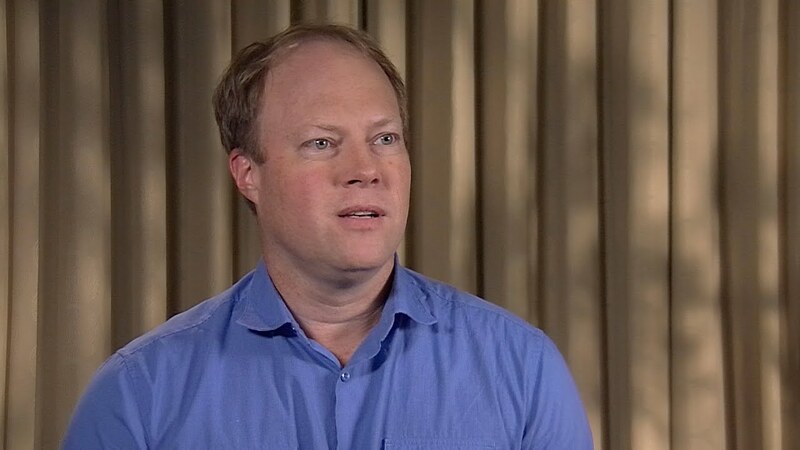 Josh noted the amazing progress made in the past 12 months in driving industry standardization around the federation of SDN networks, including orchestration of Carrier Ethernet services across multiple provider networks. "Low and behold, the team came together - it was AT&T, Orange, Colt, and others -- and we're actually demonstrating it today. So we've gone from an idea, a concept, to it actually working." The Proof of Concept demonstration that Josh referenced won the Gold PoC Award at MEF17. 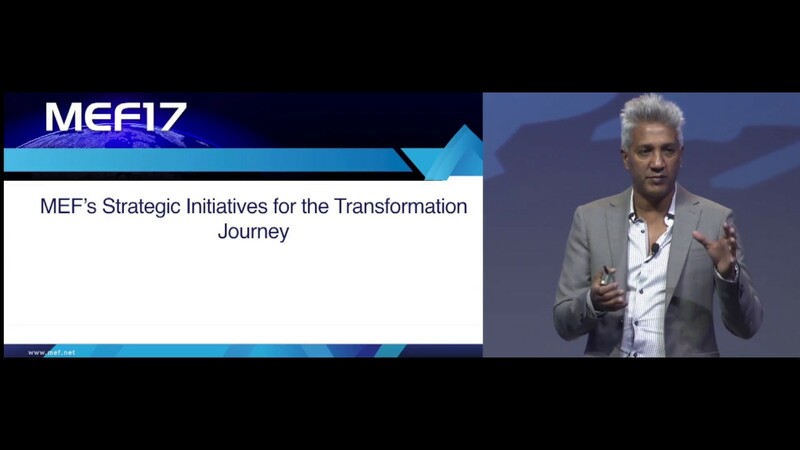 MEF17, 14 Nov 2017 - Nan Chen, President, MEF, discusses the new MEF 3.0 transformational global services framework for defining, delivering, and certifying agile, assured, and orchestrated services across a global ecosystem of automated networks. MEF 3.0 services provide an on-demand, cloud-centric experience with unprecedented user- and application-directed control over network resources and service capabilities. Key elements of MEF 3.0 include: (1) standardized, orchestrated services; (2) open LSO APIs; (3) agile certification; and (4) an expanded community. MEF17, 14 Nov 2017 - Kevin O'Toole, SVP, Product Management, Comcast Business, gave a keynote titled "Gig + SDN: A Generational Moment." 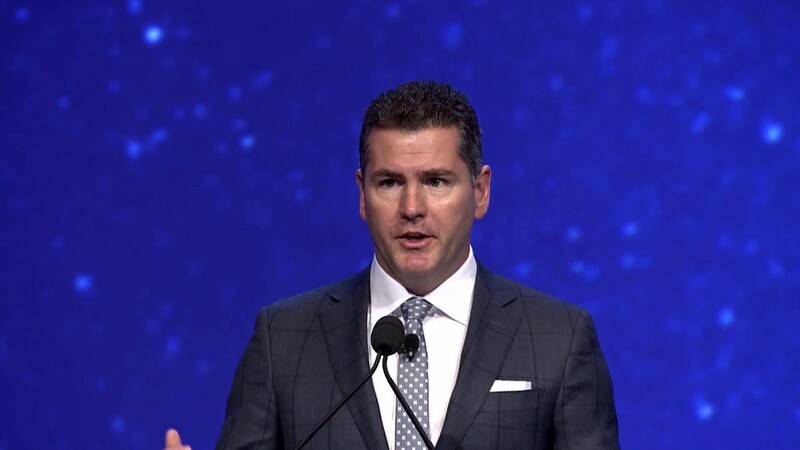 Kevin highlighted that we are now at a break point in the industry due to two major forces that are coming together: (1) Gigabit broadband deployment in the last mile and (2) software-defined networking / SD-WAN. This convergence will fundamentally transform how we think about business networking. "You are going to have generational moment. You are going to see the fundamental elimination of bandwidth barriers in the last mile on a scale unheard of. You're going to see radical simplification. Every little bit about how you run a network, how you plan it, how you provision it is going to change - and going to change in dramatic fashion." MEF17, 14 Nov 2017 - Eric Cevis, President, Verizon Partner Solutions, gave a keynote focused on "Partnering for Success: Delivering the Hyper-Connected World." 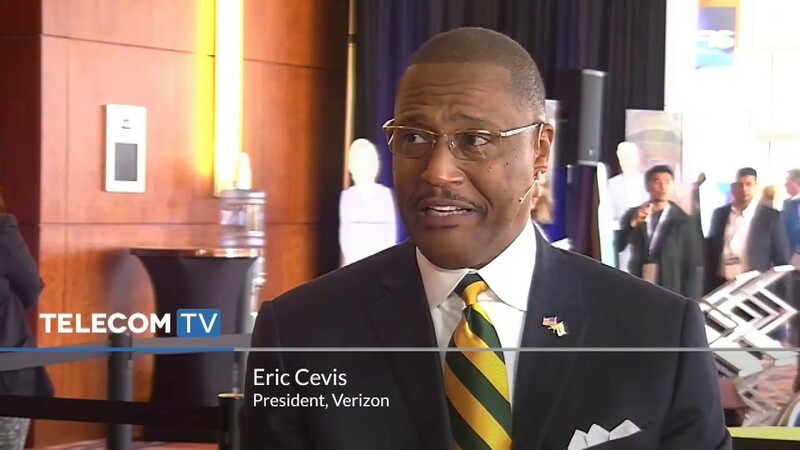 Eric discussed key industry trends, the multi-year journey of transformation, emerging agile, assured, and orchestrated MEF 3.0 services, and initiatives underway within Verizon to deliver SD-WAN and other innovative services over a more intelligent network. MEF17, 14 Nov 2017 - Michael Strople, Chairman, MEF and President, Enterprise Networks, Zayo Group, discusses the key role of the MEF Community in driving transformation of the communications industry. MEF's 3.0 global services framework promises to enable agile, assured, and orchestrated services optimized for the digital economy. Be part of the change or get left behind! MEF17, 14 Nov 2017 - Satya Parimi, Group VP, Enterprise Data & Cloud Products, Spectrum Enterprise, gave a keynote focused on "Network Services for the Digital Economy." 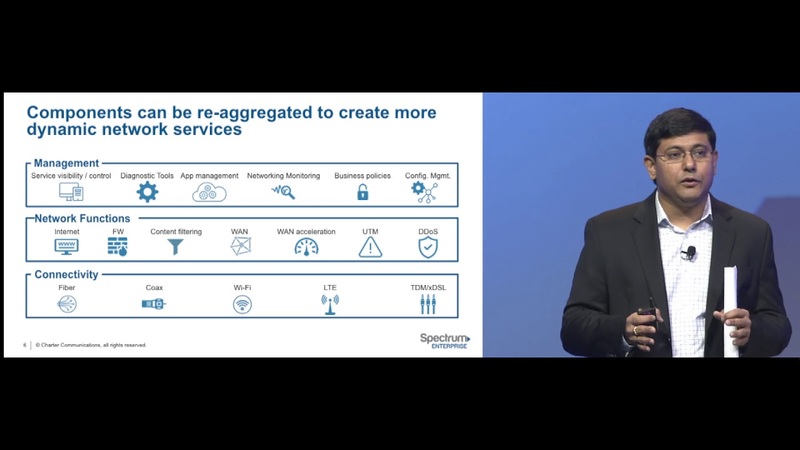 Parimi spotlighted how service providers can leverage software to open up a whole new world of dynamic, customizable network-based services that can flow across multiple provider networks. Parimi said, "It is absolutely critical, as we move forward to create these new services of the future, that there are standards we all work together on and we collaborate together on. Primarily that comes about because we're mixing and matching and disaggregating services. So the service definitions themselves can increase many fold." Parimi also commented on Spectrum Enterprise's new and innovative hybrid SD-WAN service platform. MEF17, 14 Nov 2017 - Roundtable: Building a Global Ecosystem of Connected Networks Supporting Orchestrated, On-Demand Services. Moderator: Carol Wilson, Editor-at-Large, Light Reading | Eric Bozich, VP Product & Marketing, Wholesale, CenturyLink | Mark Daley, Director of Digital Strategy & Business Development, Epsilon | Daniele Mancuso - Director Innovation & Engineering, Sparkle. End-users need services that address increasingly complex networking requirements, especially with the challenges posed by cloud applications, IoT, mobility, and emerging 5G. They are looking for dynamic services to increase business agility, innovate, and adapt, and they ideally would like to have these services available to any location. 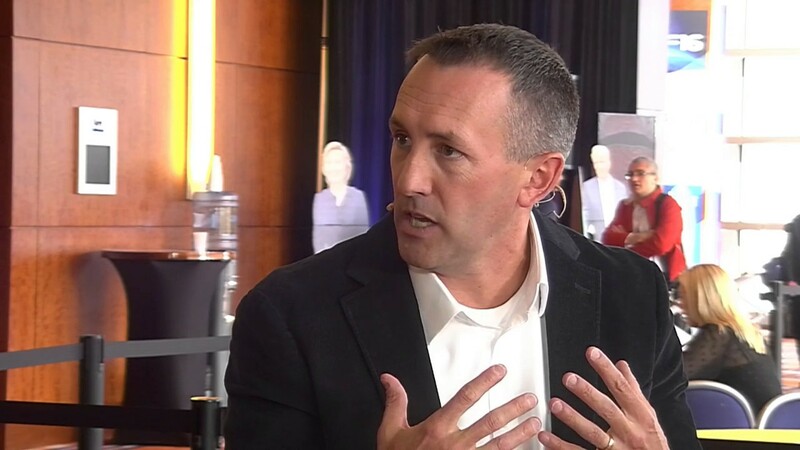 In recent years, a number of service providers have introduced dynamic connectivity and virtualized services to address these demanding needs, but their innovation primarily has been limited to services delivered over individual provider networks. To realize the full potential of our market, the industry needs to move beyond independent islands of excellence. We need to enable delivery of dynamic services across multiple provider networks, maximizing the return on SDN and NFV investments. This panel brought together experts from industry-leading providers to discuss what it will to take to build a global ecosystem capable of delivering next-generation services optimized for the digital economy and hyper-connected world. MEF17, 15 Nov 2017 - Marc Halbfinger, CEO, PCCW Global shared his insights as the leader of a major global communications service provider in a Q&A discussion with Nan Chen, President, MEF. 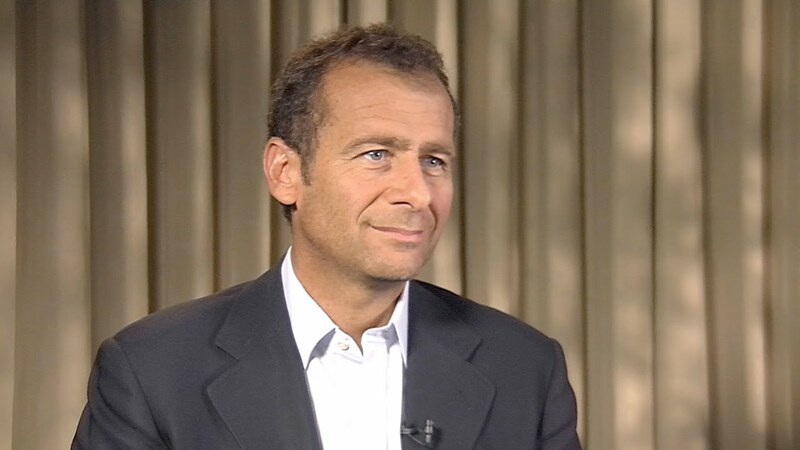 Marc discussed PCCW Global's acquisition of Console Connect, which has offered a software-based platform allowing network-to-cloud connectivity with the the click of a button. 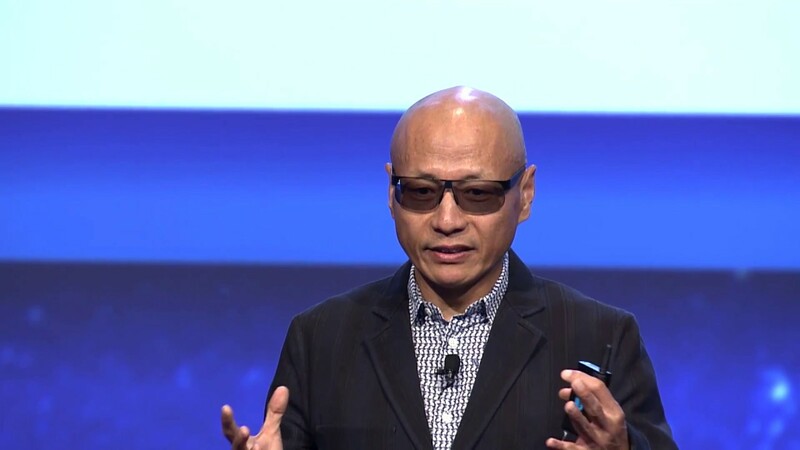 Marc highlighted that PCCW is focused on creating a more advanced approach to orchestration involving the network, cloud connectivity, and applications. 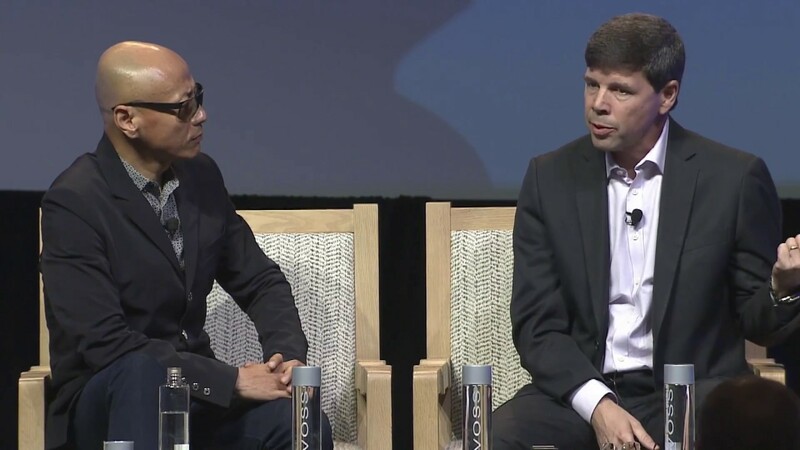 Marc expects the integration with Console Connect will help take PCCW into a more flexible environment and "drive exposure of the back office to the end user." 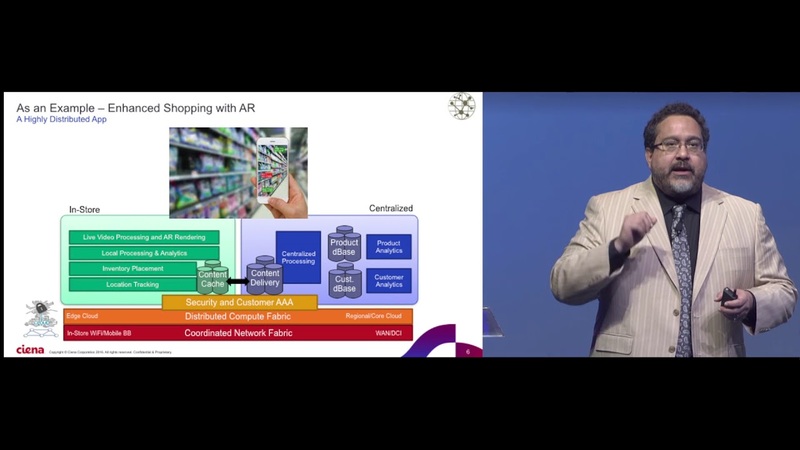 Marc highlighted the importance of the MEF 3.0 global services framework for creating wholesale interfaces that allow networks to interact at the back end in order to facilitate the retail side. "In this environment - where everything now is agile, software-developed, and we're all sitting in a room trying to work out together what are the common frameworks - let's not just look at what we're doing on the retail side. Let's also focus on the wholesale, the back side. Because in that environment we can work collaboratively globally...and we can be leveraging off of each other's platforms and environments. Frankly, if you look in the retail e-commerce space, Amazon doesn't have all that much of its own independent inventory. They're leveraging other inventory environments, and their value is in creating that front-end distribution platform. A MEF-governed framework can help facilitate that same capability if we organize ourselves as an industry intelligently with the wholesale side and the retail side." MEF17, 14 Nov 2017 - Service Innovation Expert Panel. Moderator: Rosemary Cochran, Principal, Vertical Systems Group | Shawn Hakl, SVP Business Products, Verizon | Josh Goodell, VP, Intelligent Edge, AT&T | Gunnar Peters, Senior Director, Emerging Networks, Spectrum Enterprise The pace of technology change is accelerating rapidly, with nearly every industry being disrupted by digital transformation and increased automation. Within the service provider community, there is a growing realization that many providers are going to get left behind in the market if they do not retool their networks, operations, and service portfolios in order to be more flexible and able to quickly address customer needs. In this session, we brought together senior experts from world-leading service provider to explore what is driving service innovation and where the market is headed. What are the hot service innovations, how will they impact customers, how are service providers taking advantage of new technologies to be more efficient and responsive to customer needs, what will be the impact of SD-WAN managed services, and what new service innovations are coming over the horizon? We answered these questions and more! 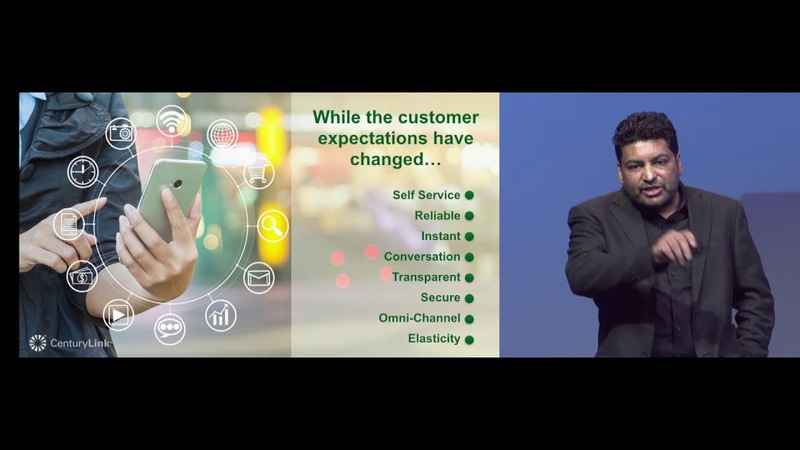 MEF17, 15 Nov 2017 - Shetal Sheth, VP, Digital Transformation and Platform Delivery, CenturyLink gave a keynote in which he shared a Communications Service Provider's perspective on industry transformation and disruption, changing customer expectations, an accelerated pace of service and technology innovation, the importance of aligning on industry standards, and the value of MEF 3.0 service development. MEF17, 15 Nov 2017. 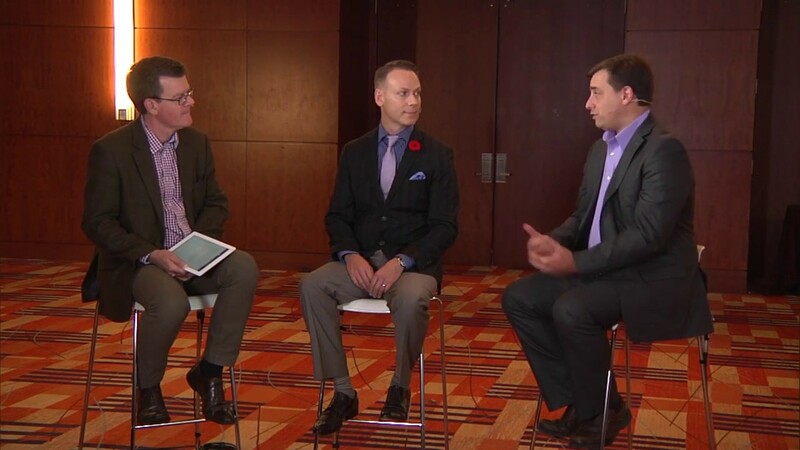 Executive Roundtable - Building Automated & Virtualized Networks Powered by LSO, SDN & NFV. Moderator: Jason Marcheck, Consulting Director, GlobalData Technology | Allan Langfield, Executive Director, Product Management, Comcast Business | David Hughes, VP of Engineering, PCCW Global | John Dickinson, VP, Commercial Network, Network Engineering, Charter Communications. 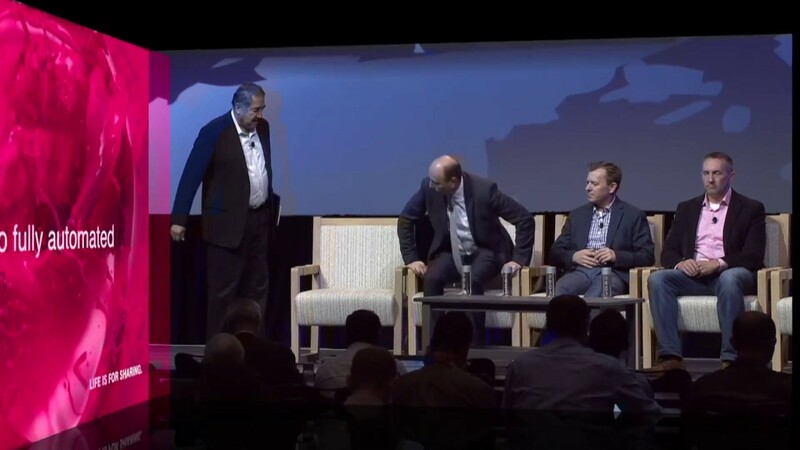 Top service provider experts shared their perspective on: (1) significant industry progress in building automated and virtualized networks powered by LSO, SDN, and NFV, (2) new, innovative services like SD-WAN, (3) the promise of network-as-a-service, (4) the technical and business process challenges of orchestrating services across multiple operators, and (5) other related topics. 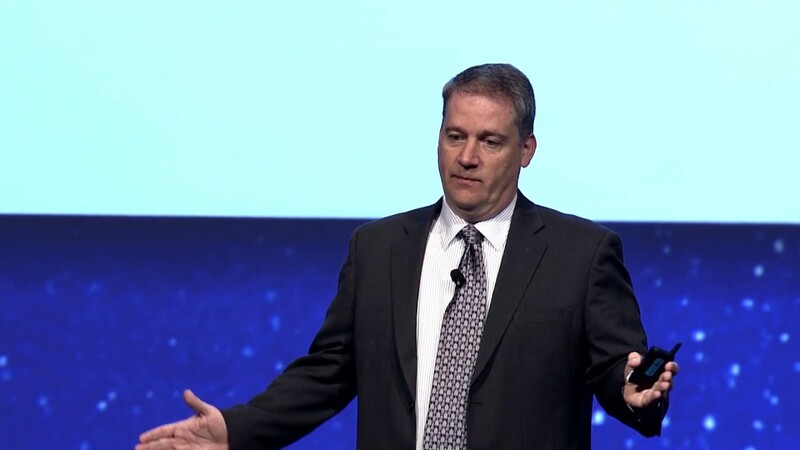 As David Hughes noted, "What all of this is sort of driving at - NFV, SDN, SD-WAN, 5G - all of these things are really just driving at delivering network-as-a-service. MEF17, 15 Nov 2017 - John Medamana, VP Packet-Optical Network, AT&T Fellow, AT&T, gave a keynote focused on "Network Evolution," in which he discussed key networking trends and the need to harvest the power of the network through a more open, modular, and flexible architecture. John explained the significant, major benefits of disaggregating the network at Layer 1, 2, and 3. 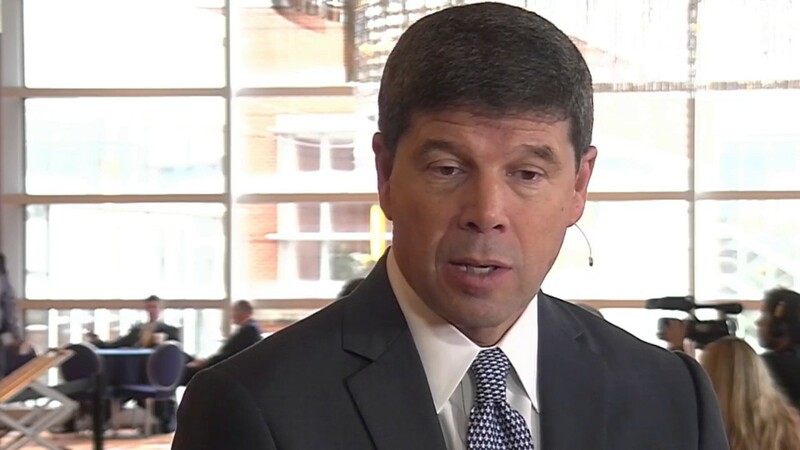 He also highlighted the important working going on -- involving AT&T, Orange, Colt, ONAP, and MEF, and others -- to enable orchestrated services across multiple network operators, using open LSO APIs. 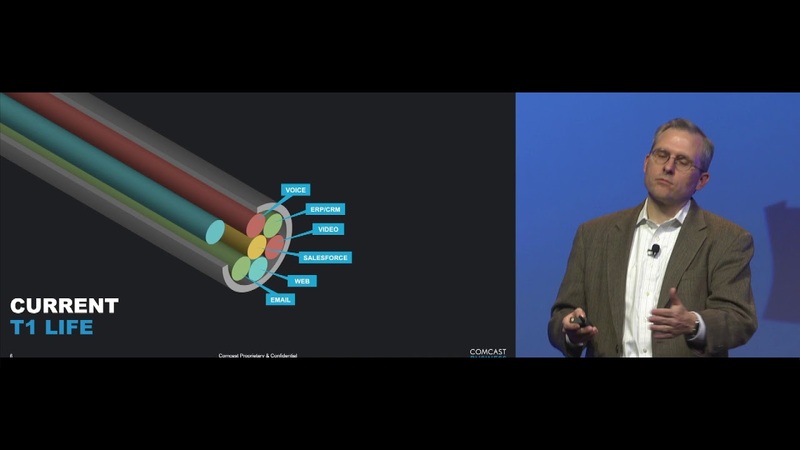 John commented, "The way I talk to my team about this is that we are kind-of making Carrier Ethernet behave like the Internet." He explained the value of emerging, standardized inter-provider LSO Sonata and LSO Interlude APIs. MEF17, 15 Nov 2017 - Gabriel Kerner, VP Network Products and Offerings, Amdocs Technology, gave a presentation focused on "Service Lifecycle Management: The Road Ahead." 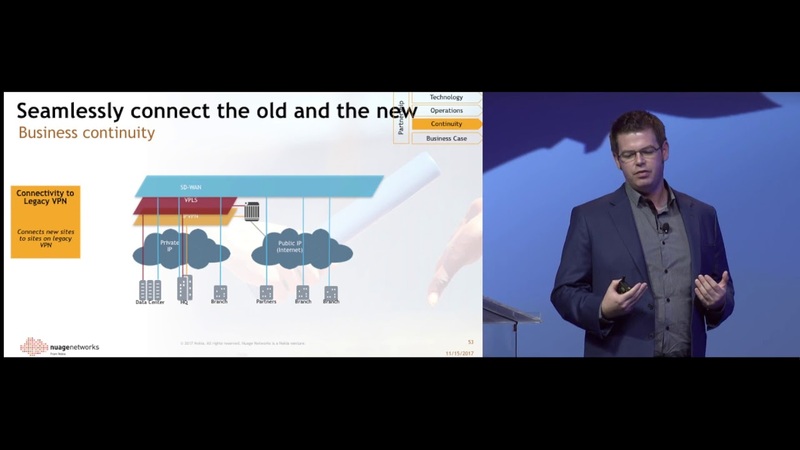 Gabriel addressed the challenge of orchestrating complex services across multiple providers in era of SDN and NFV, with virtualized services entering into the mix. 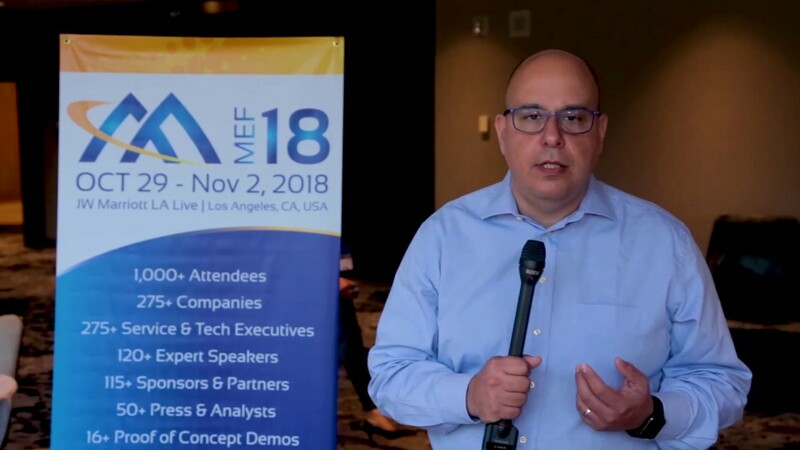 Gabriel discussed an award-winning inter-provider MEF 3.0 Proof of Concept demonstration involving AT&T, Orange, Colt, Amdocs, Ciena, and Fujitsu. The PoC was titled "Service on Demand: Global Virtual Inter-Carrier Fabric Orchestrated by LSO APIs with Open-source Framework." MEF17, 15 Nov 2017 - Service Provider Executive Perspectives on Evolving Networks & Business Models to Support Orchestrated, Dynamic Services. Executives from several top service providers discussed the challenges and opportunities associated with evolving their networks, business models, operational and development processes, and employee mindsets and skill sets to support dynamic, cloud-centric services optimized for the digital economy. All three of the providers have launched initiatives to increase their agility and accelerate the rollout of more innovative services. 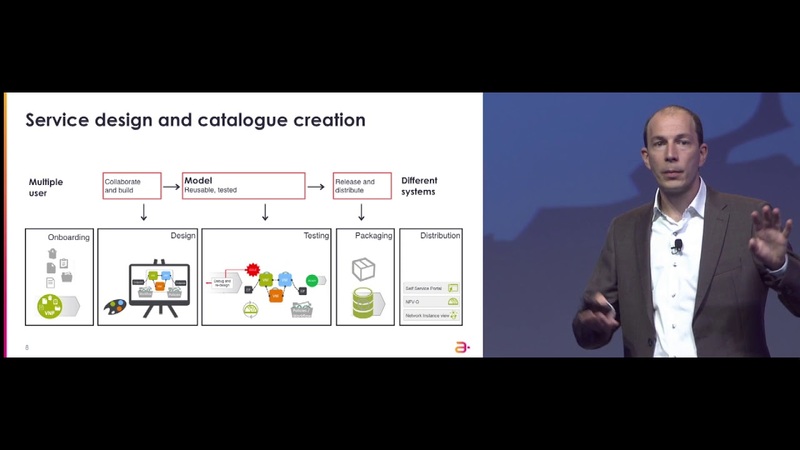 Open LSO (Lifecycle Service Orchestration) APIs will play a critical role enabling automation. 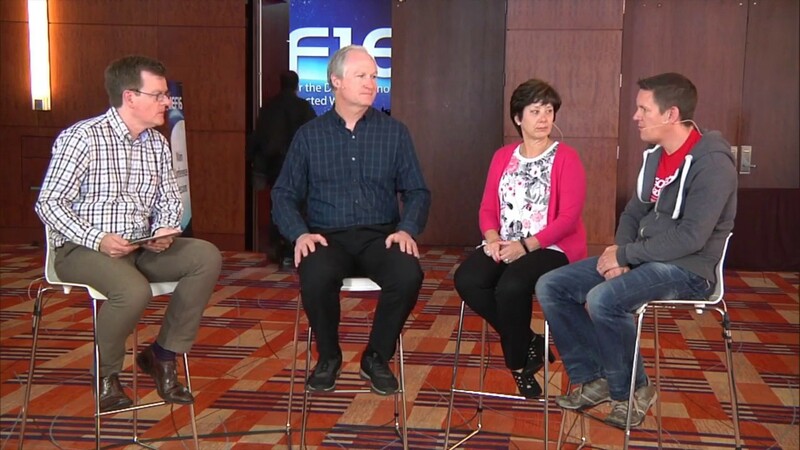 Industry-leading technology experts discuss key innovations related to the creation of automated, virtualized, and interconnected networks powered by LSO (Lifecycle Service Orchestration), SDN, and NFV. Major topics covered include: (1) real-time inventory and topology discovery for connectivity and NFV-based virtualized services, (2) SD-WAN assurance, (3) customer self-service with performance assurance, (4) 4G/5G mobile backhaul performance assurance, (5) LSO federation involving multiple network technology domains, (6) root cause analysis, and (7) and application-aware network performance monitoring. MEF17, 15 Nov 2017 - Karl Horne, Chief Architect, Ciena, gave a presentation focused on "Aligning the Third Network to the Third Digital Wave: Networking the Digital Life with MEF 3.0." 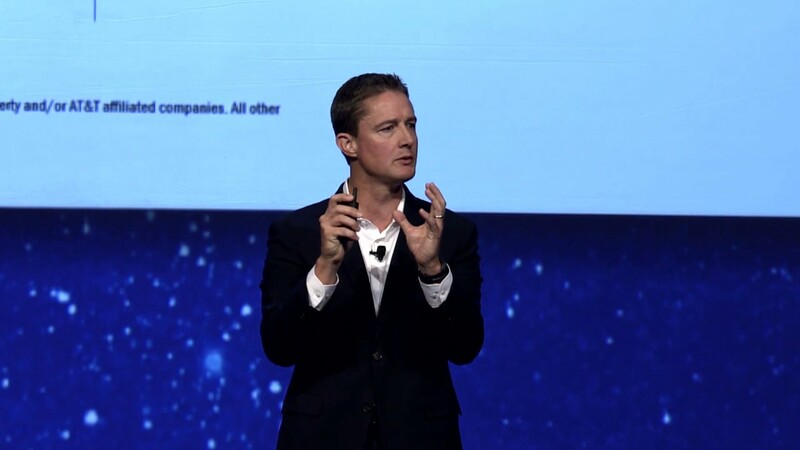 Karl shared his perspective on the emerging "Digital Life" in which applications and experiences will transform our personal and professional lives. We are seeing the emergence of a heterogeneous, multi-provider ecosystem. API-driven network-as-a-service (NaaS) will be key to interconnect the ecosystem for user-to-cloud and distributed cloud connectivity. MEF17, 15 Nov 2017 - Arpit Joshipura, General Manager, Networking Projects, the Linux Foundation gave a keynote focused on "Harmonizing Open Networking and Open Source." 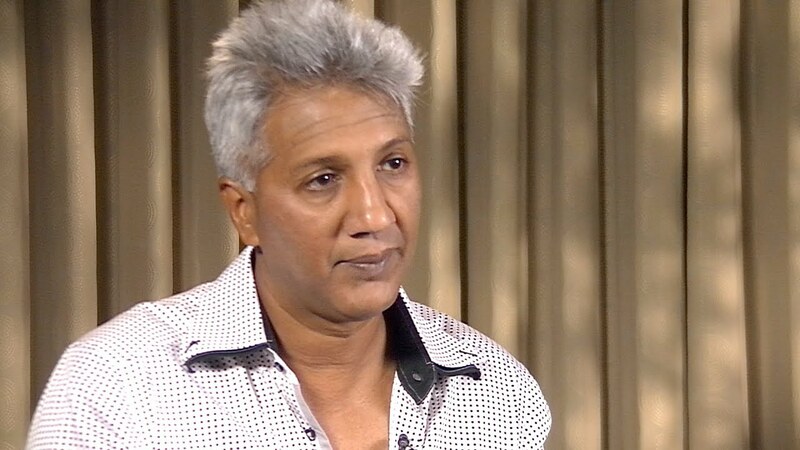 Arpit challenged the industry: "Mandatory automation is required before 5G hits. You cannot have a scale of 5G that is 1,000 x volume, 100 x data rates, devices, 1/5th the latency" without automation. 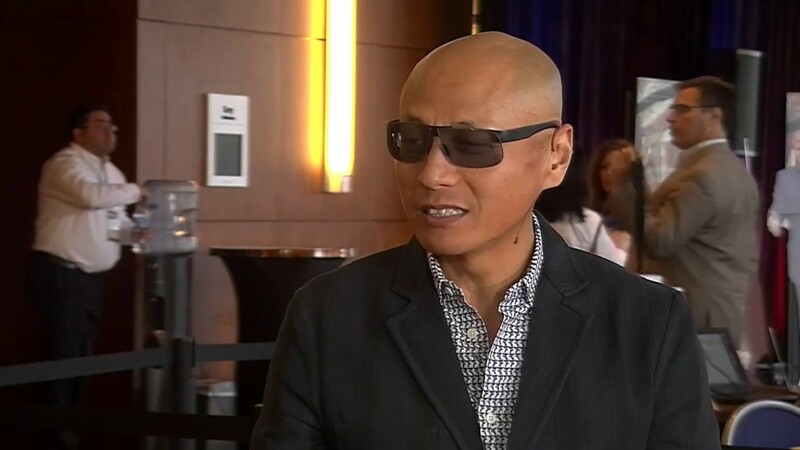 "It's the biggest use case, and we need to make sure that networks are automated at the software layer." 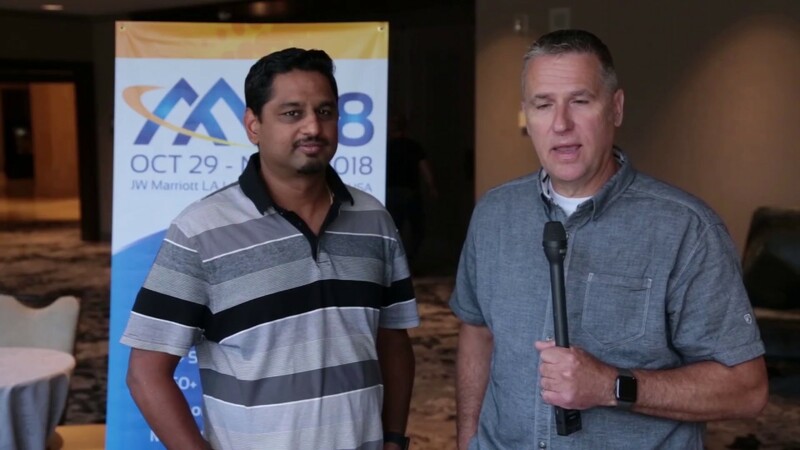 Arpit provided an overview of the open networking landscape, gave an update on ONAP as the de-facto automation platform for carriers, and discussed important collaboration involving ONAP and MEF. This collaboration includes an ONAP-ONAP implementation with LSO APIs on MEF.net. MEF17, 15 Nov 2017 - Hayim Porat, CTO, ECI, shared his perspective on "Standards and Open Source: Can We Do Better?" Hayim proposed a model for how standards development organizations can work with open source software organizations to increase industry efficiency and accelerate innovation. 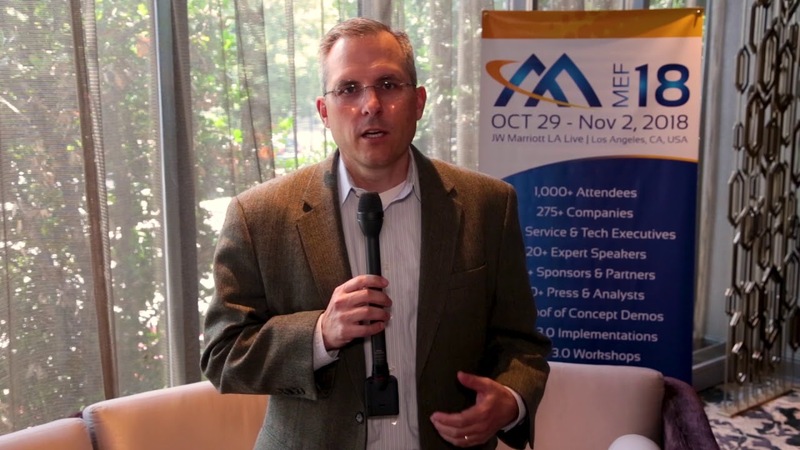 MEF17, 14 Nov 2017 - Kevin Vachon, COO, MEF, welcomes attendees to MEF17, shares event highlights, and draws attention to upcoming MEF events, including the Q1 MEF Members meeting in Singapore, 29 Jan - 2 Feb 2018. 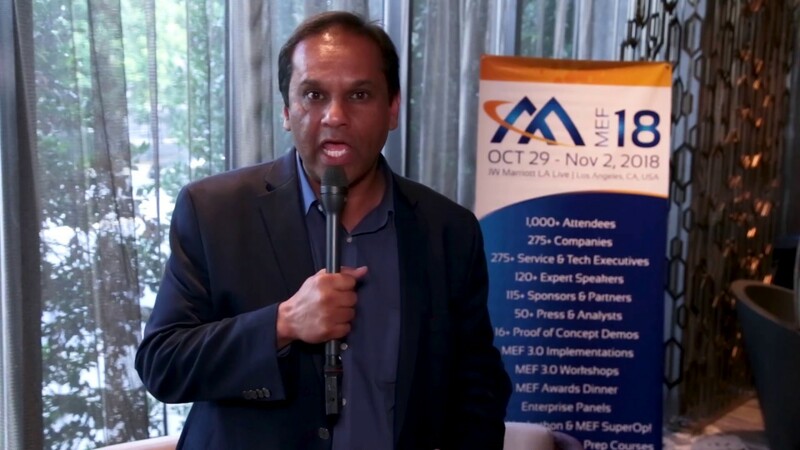 MEF17, 15 Nov 2017 - Pascal Menezes, CTO, MEF, gave a keynote focused on the MEF 3.0 transformational journey to agile, assured, and orchestrated services delivered across a global ecosystem of automated networks. Key elements of the MEF 3.0 global services framework include: (1) standardized, orchestrated services, (2) open LSO APIs, (3) agile certification, and (4) an expanded community. The transformation roadmap includes: (1) the shift from standardized CE 2.0 services to orchestration-ready MEF 3.0 CE services, (2) a full suite of standardized MEF 3.0 multi-layer connectivity services (wavelength, CE, IP, and SD-WAN), (3) orchestrated MEF 3.0 connectivity services across multiple providers, (4) orchestrated MEF 3.0 virtualized services, and (5) application-aware, self-organizing networks. MEF17, 15 Nov 2017 - Alastair Johnson, Principal Solution Architect, Nuage Networks, gave a presentation, "Keys to Success on Your SD-WAN Journey." Alastair highlighted the importance of the technology solutions, operational tools, business continuity, business cases, and partnerships. 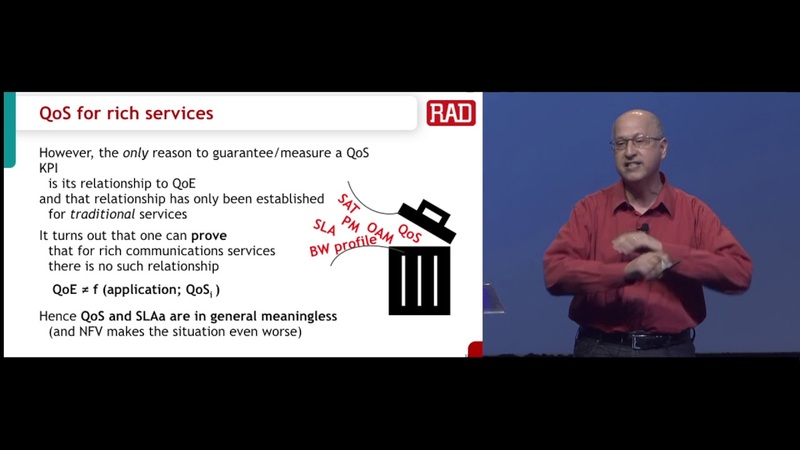 MEF17, 15 Nov 2017 - Yaakov Stein, CTO, RAD, shared his perspective on "QoS for Rich Communications Services," including new NFV-based virtualized services. 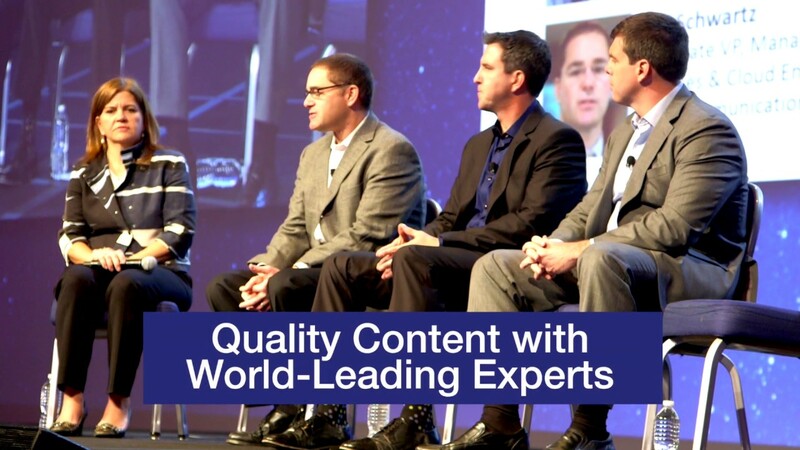 Yaakov challenged industry players to focus on SLAs that directly address Quality of Experience (QoE). 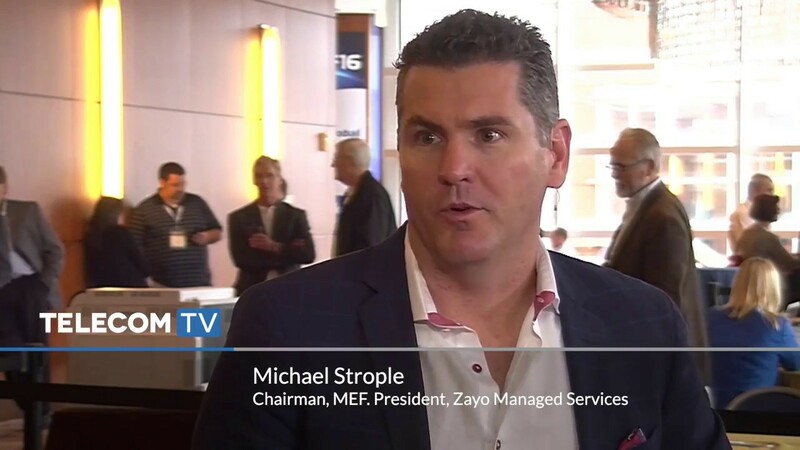 Michael Strople, Chairman, MEF and President Enterprise Networks, Zayo Group highlights MEF’s role in driving industry transformation as a key motivation for being part of the MEF community. MEF17 is the world’s premier networking event focused on advancing agile, assured, and orchestrated connectivity and cloud services for the digital economy & the hyper-connected world. These new “Third Network” services provide an on-demand experience with user-directed control over service capabilities. They are delivered over automated, virtualized, and interconnected networks powered by LSO (Lifecycle Services Orchestration), SDN, NFV & CE 2.0 (Carrier Ethernet 2.0). As illustrated in this video, MEF's global networking events have developed a reputation for uniquely empowering industry stakeholders with (1) high-quality program content, (2) extraordinary peer-to-peer networking opportunities, (3) live demonstrations of cutting-edge services & technologies, and (4) a collaborative, open networking environment that includes on-site standards development. Many more MEF16 videos can be found here. 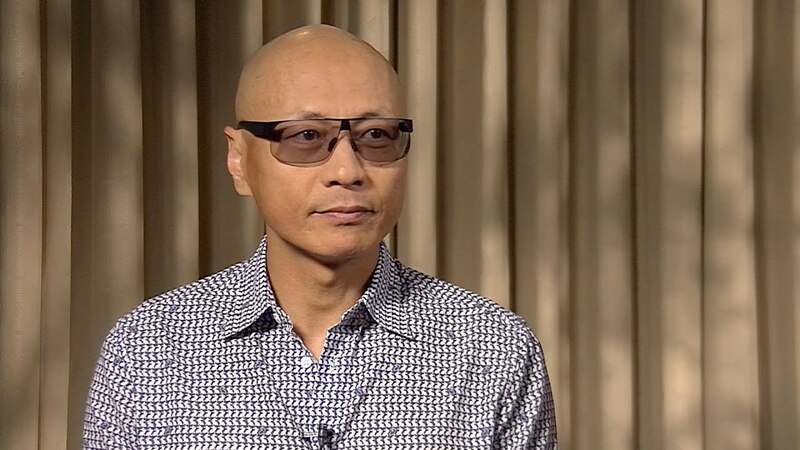 TelecomTV at MEF16 - Nan Chen, President, MEF; Vice-Chairman, CENX discusses four major areas of MEF work that will enable agile, assured, and orchestrated Third Network services for the digital economy and the hyper-connected world. 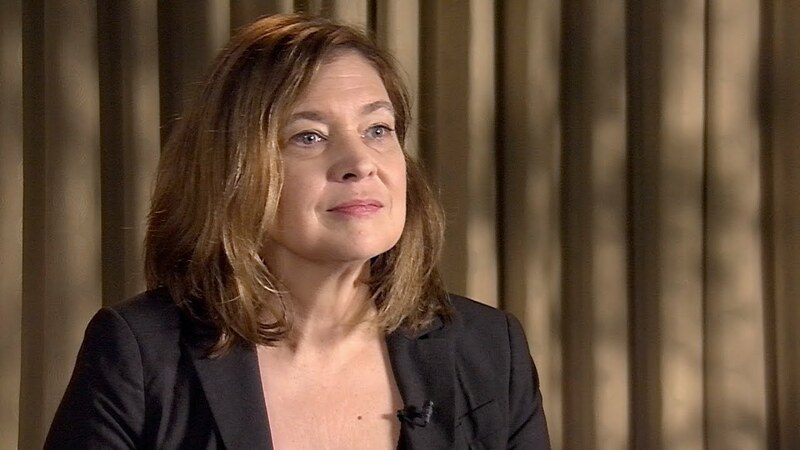 This includes (1) orchestrated connectivity and NFV-based services, (2) the LSO (Lifecycle Services Orchestration) architecture with standardized open APIs, (3) open initiatives involving collaboration with other industry organizations, and (4) the evolution of certification programs for services, equipment, and professionals. Nan highlights that the organization’s most important work currently is focused on enabling end-to-end orchestrated services across multiple technology domains and multiple service providers globally and seamlessly. Development and deployment of Third Network services powered by LSO, SDN, and NFV will require broad industry collaboration. Along these lines, MEF has co-authored a groundbreaking new Third Network services white paper with ON.Lab, ONOS, OPEN-O, OpenDaylight (ODL), the Open Networking Foundation (ONF), Open Platform for NFV (OPNFV), and TM Forum. Download new white paper "An Industry Initiative for Third Generation Network and Services" (November 2016). 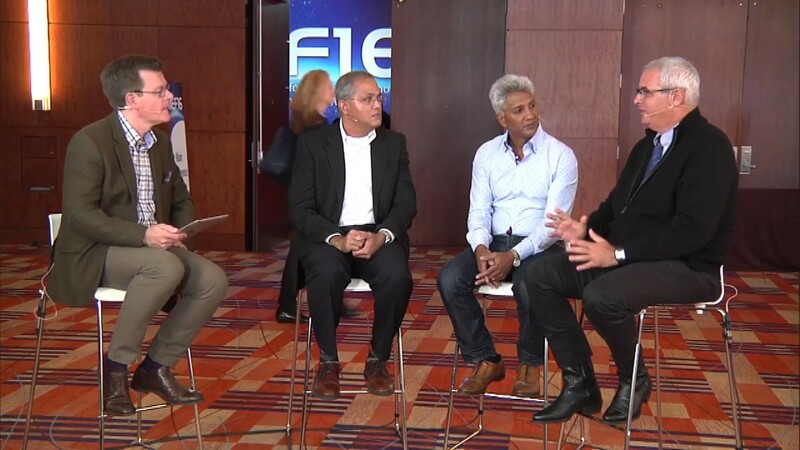 TelecomTV at MEF16 – Panel interview with senior MEF representatives: (1) Shahar Steiff, VP, New Technology, PCCW Global; Director, MEF; Technical & Operations Committee Co-Chair, MEF; (2) Pascal Menezes, CTO, MEF; and (3) Raghu Ranganathan, Principal & Distinguished Engineer, Office of CTO, Ciena; MEF Distinguished Fellow; Director, MEF; Technical & Operations Committee Co-Chair, MEF. Pascal explains that MEF's concept of open networking centers on LSO open APIs (North-South and East-West) that can be used with either open source or closed source solutions. Shahar emphasizes the importance of using Open APIs to automate service lifecycle processes within and between service providers, leading to increased efficiency. 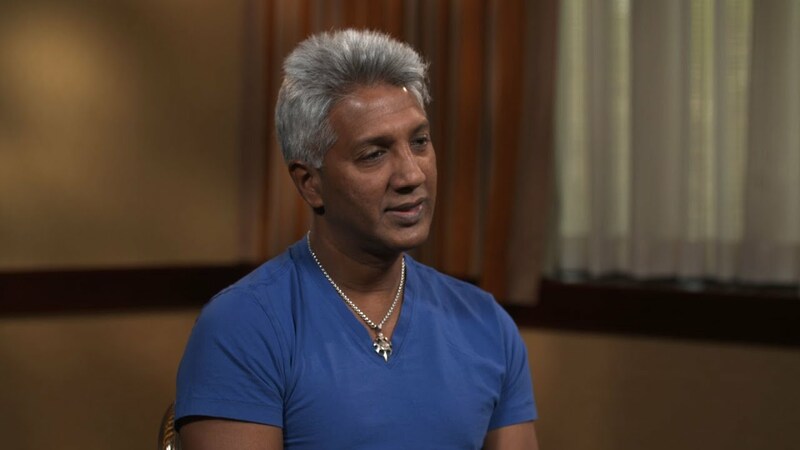 Raghu notes that service providers can introduce greater agility in operating their networks by creating an abstract view of their networks that allows them to use open APIs to program the network. 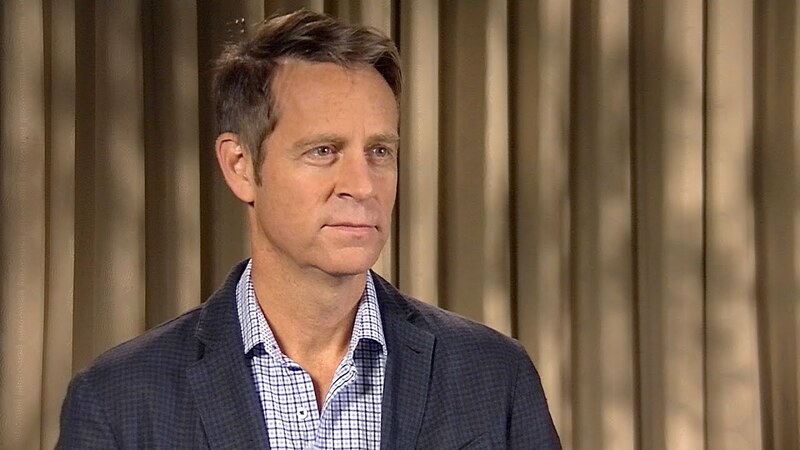 TelecomTV at MEF16: Josh Goodell, VP, AT&T Network On Demand - Over the past year, AT&T has expanded its Network On Demand portfolio beyond Switched Ethernet to included Managed Internet and NFV-based FlexWare services with the goal of giving customers greater agility, flexibility, and control. 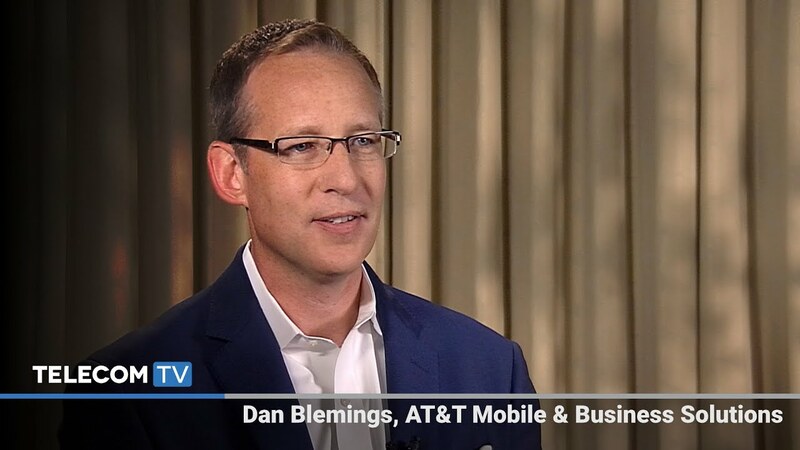 Since its launch in 2015, more than 2,000 businesses have signed up for AT&T Network on Demand solutions, including more than 1,300 for Switched Ethernet with on-demand capabilities. 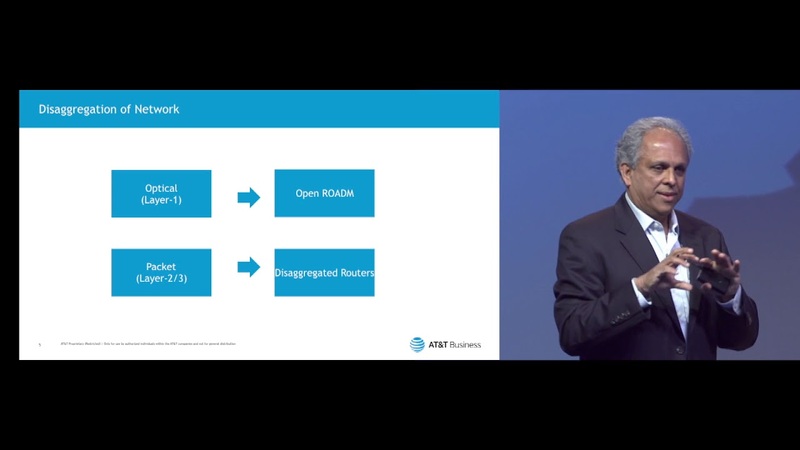 AT&T has rearchitected its entire core network -- leveraging SDN and orchestration technologies -- to meet the demands of video traffic and is now utilizing that network to deliver differentiated services. 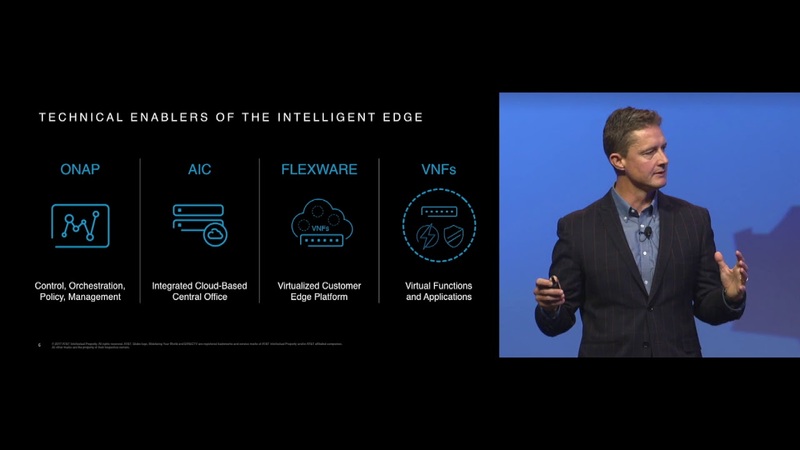 Switched Ethernet and Managed Internet services are core services going out to the network edge, while FlexWare is an edge service. 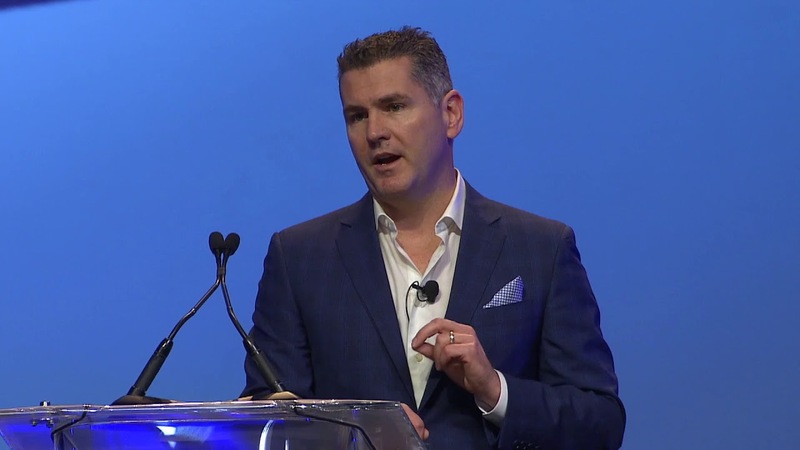 Josh explained FlexWare: "What we're doing is taking the traditional approach of proprietary boxes out on the edge of the network and really turning that model on its head. And so what we have now is a model where customers will have a single device on the edge that can run multiple functions on that device - whether it be routing, WAN acceleration, security -- and they can dynamically choose what functions they want." SD-WAN is tied into the FlexWare service. 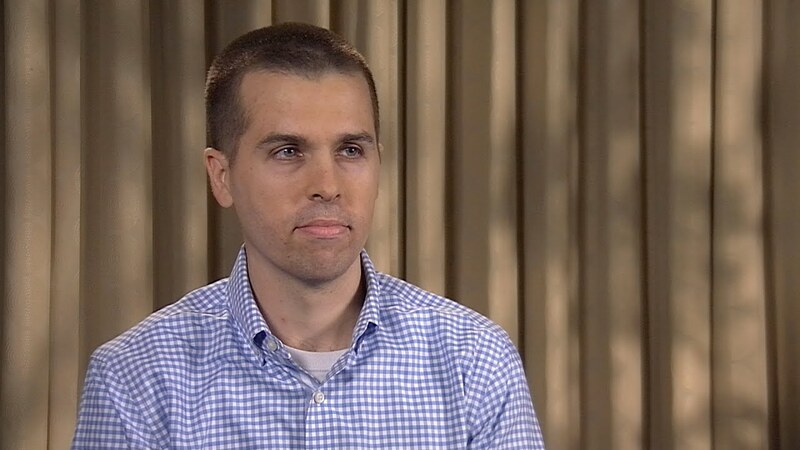 Josh elaborated on AT&T's SDN interoperability trial with Colt Technology Services and the importance of MEF LSO (Lifecycle Service Orchestration) work. "One of the elements of MEF that is really is interesting is their concept of LSO. One of the core tenants is helping us expand the value of SDN and NFV not just within one carrier space but across carriers. And the work with Colt is a great example of how we are expanding the value proposition of an SDN network - that SDN core that I talked about earlier -- really across the world. And with this Proof of Concept, we demonstrated that it's possible to have endpoints in the United States and endpoints in the UK all federated with one network connection. And that's very unique. So, we're excited to not just be talking about this stuff. 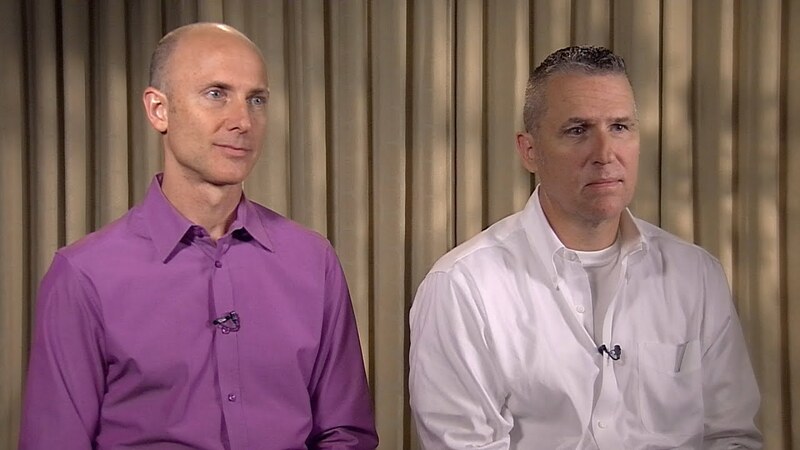 We're actually out there making it happen." 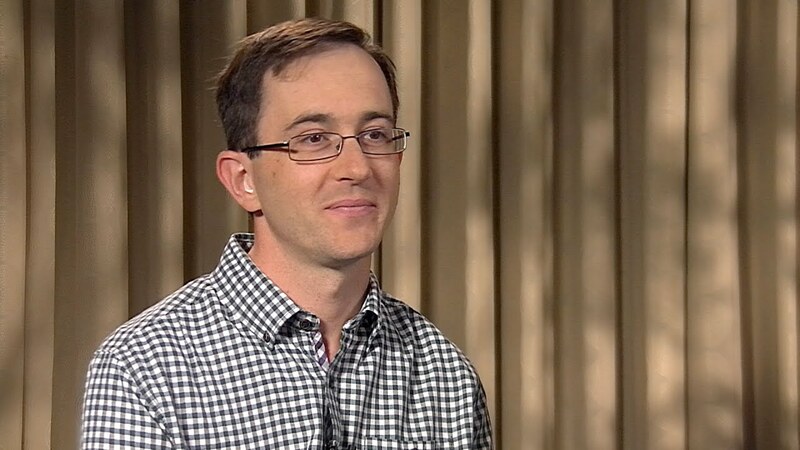 Josh summarized AT&T's journey in 3 phases: (1) rethink how AT&T delivers network services over a rearchitected core network, (2) deliver new agility, flexibility, and control value to customers with Network on Demand, and (3) drive the industry forward by expanding upon these new approaches and principles. "We think there's value not just for us, but for the industry. I think MEF is a conduit. They're a catalyst for that. One of the reasons we're so excited is that we see complete alignment with what we're trying to do and what MEF is trying to do, and we'll work closely together on this." | 7:31 minutes. Industry progress in advancing Third Network innovation was on display in MEF16’s vibrant Proof of Concept Showcase, which featured 14 leading-edge demonstrations of orchestrated services enabled by LSO, SDN, NFV, and CE 2.0. 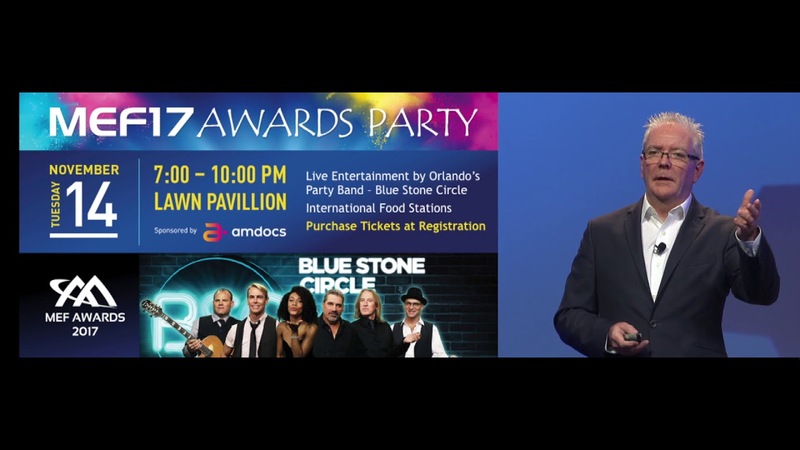 Two groups of innovators received this year’s coveted PoC Awards: (1) Comcast Business, Sparkle, Tata Communications, ECI, and Viavi Solutions and (2) CenturyLink, Ciena, and RAD. Industry progress in advancing Third Network innovation was on display in MEF16’s vibrant Proof of Concept Showcase, which featured 14 leading-edge demonstrations of orchestrated services enabled by LSO, SDN, NFV, and CE 2.0. 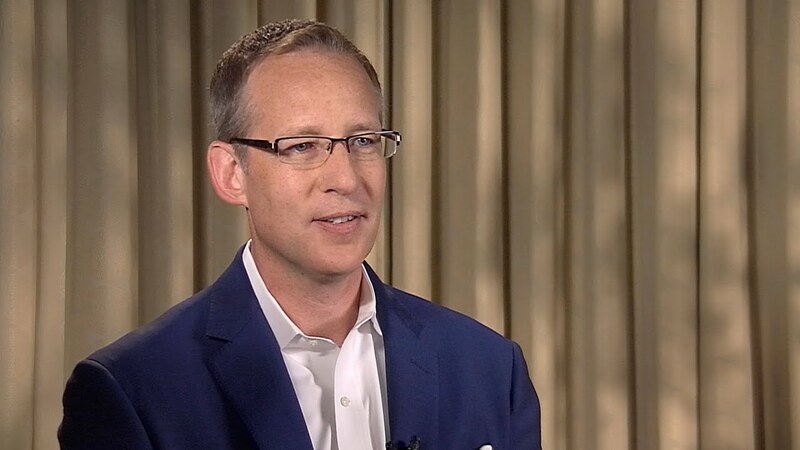 MEF16 – Marc Halbfinger, CEO, PCCW Global sits down for an interview with Nan Chen, President, MEF - Marc shares that service providers are being driven to think differently about how they deliver solutions to address changing customer requirements in the cloud era. 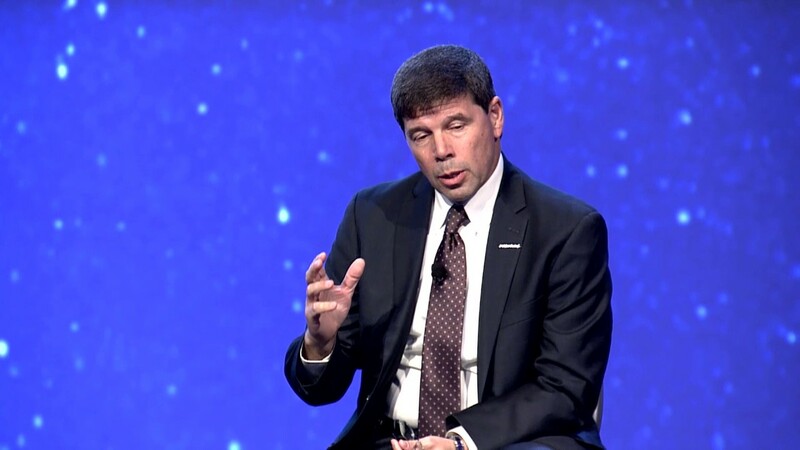 He notes that PCCW Global has supported the work of MEF because of the coalition of players the organization has brought together to focus on driving the thought processes around service and technology innovation. It is particularly important that we have strong industry collaboration as we shift from hardware-centric thought processes to a software-centric approach. 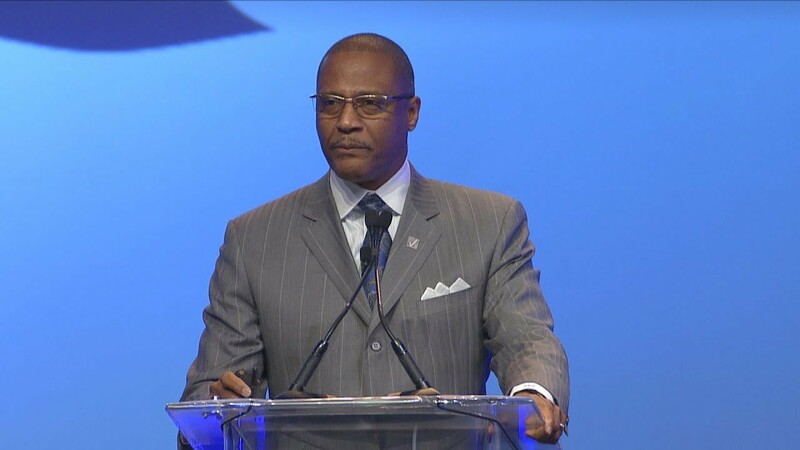 Marc notes that MEF’s Third Network vision is critical to moving the industry forward. 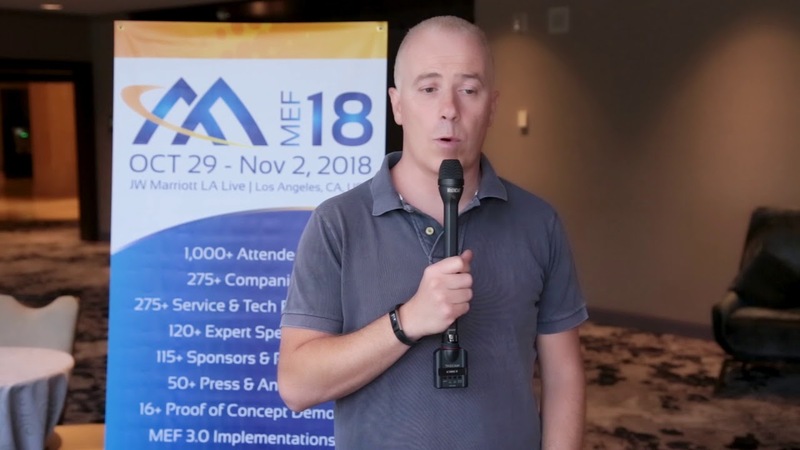 Charles Eckel, Developer Evangelist, Cisco DevNet provides an overview of the MEF16 LSO Hackathon that is taking MEF's specification work and putting it to code. The exercise carries out implementations of the specs to validate that they work. 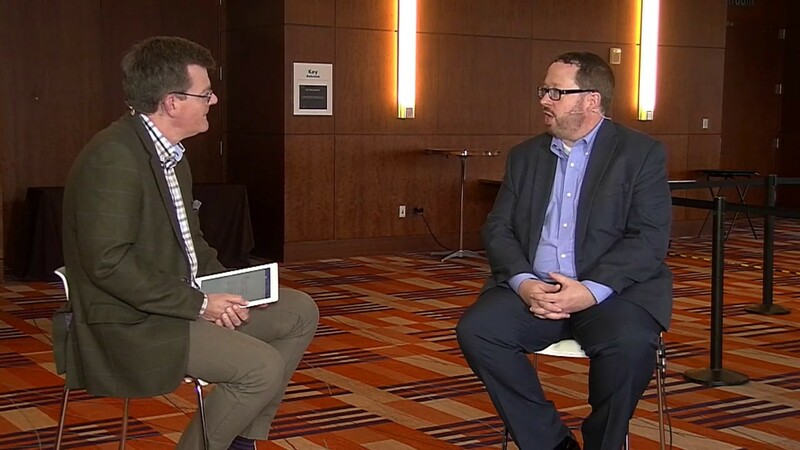 Greg Spear, Solution Manager, Accedian Networks describes his company's joint Proof-of-Concept demonstration with CenturyLink focused on ensuring customer quality of experience for advanced network services. The PoC demo conducted at MEF16 focused on test & turn-up as well as performance monitoring at Layer 2 and Layer 3. The PoC is built on the principles in the MEF 33 specification. Anthony Peres, Marketing Director, IP Routing, Nokia and Ralph Santitor, Head of SDN/NFV Solutions Practice, Fujitsu, discuss MEF's new Carrier Ethernet and NFV white paper, which is part of a broad range of MEF initiatives to accelerate the introduction of agile, assured, and orchestrated Third Network services. Bringing valuable insight to the growing ecosystem of Third Network services and technology companies, the paper explores options for introducing and implementing virtual network functions and services onto foundational CE 2.0 connectivity services. The paper is available for download from the MEF website here. Jack Pugaczewski, Distinguished Architect, Centurylink, and Stéphan Pelletier, Director of Product Management for Orchestration, Oracle, explain how the development of the LSO Reference Architecture & Framework (MEF 55) and open APIs will enable operators to rearchitect their OSS/BSS systems in order to deploy more agile services, reduce costs, and create new revenue opportunities. The LSO RA's precisely defined reference interfaces and orchestration functions provide a great platform for defining specific North-South and East-West open APIs to automate service lifecycle functions within and between network operators. An example is the Presto set of APIs that sit at the reference point between a service orchestrator and one or more domain controllers.